Content you wish to display on mobile devices needs to be created using DimDrop's tools or uploaded using the upload tool. 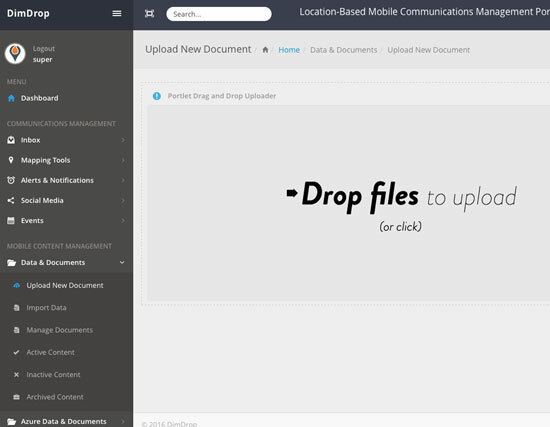 The drag-n-drop interface makes it easy to submit your content to your team's portal account. Once uploaded you can use the file manager tool to organize and manage files.